August 18, 2016 The Philippines improved its rankings in the 2016 Global Innovation Index (GII) jumping 9 notches from No. 83 to No. 74 out of 128 economies tracked in the report. Co-published by Cornell University, INSEAD, and the World Intellectual Property Organization, the GII is a leading benchmarking tool for business executives, policy makers and others seeking insight into the state of innovation. 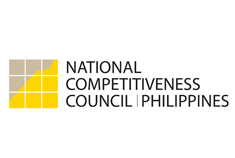 The Philippines obtained a score of 31.8 out of 100, up from 31.1 in the previous year. The score is based on the average of the innovation input and output sub-indices. The report also showed that the country improved in all of its seven pillars. It made considerable headway in the human capital and research, jumping 28 notches from No. 123 to No. 95 in this year’s index. This pillar measures the quality of the country’s education as well as research and development. There were also notable improvements on Institutions (up 14, from No. 102 to No. 88), Infrastructure (up 11, from No. 83 to No. 72), Knowledge and Technology outputs (up 9, from No. 53 to No. 44), Market Sophistication (up 7, from No. 101 to No. 94), Business Sophistication Pillar (up 7, from No. 81 to No. 74), and Creative Output (up 5, from No. 101 to No. 96). The country, however, declined in some indicators. The Philippines slipped 25 spots on Investments sub-indicator from No. 81 to No. 106. This sub-indicator measures the ease of protecting minority investors, market capitalization, and venture capital deals. Likewise, Innovation Efficiency which measures the effectiveness of innovation systems and policies also slipped 5 notches from No. 44 to No. 49. For the 2016 report, the Philippines remains No. 5 in ASEAN. Singapore stays atop in the region by improving a notch from No. 7 to No. 6 in world rankings. Other economies that advanced were Indonesia (up 9, from. No. 97 to No. 88) and Thailand (up 3, from No. 55 to no. 52). While Malaysia (down 3, from No. 32 to No. 35), Vietnam (down 7, from No. 52 to No. 59), and Cambodia (down 4, from No. 95 to No. 91) dropped their rankings. Brunei, Lao PDR, and Myanmar were not included in this year’s release. Globally, innovation achievers for this year are Switzerland, Sweden, United Kingdom, the United States, and Finland. 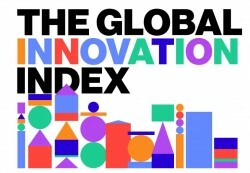 The Global Innovation Index 2016 focuses on “Winning with Global Innovation.” The report explores the expanding share of innovation carried out via globalized innovation networks, discovering that gains from innovation linkages are quickly gaining prominence, leading to collaboration among nations including the academia and the industry as a key driver of economic growth.